The CVO Street Glide is decked out fender to fender with custom details and with the most powerful Harley engine and sound system to date. 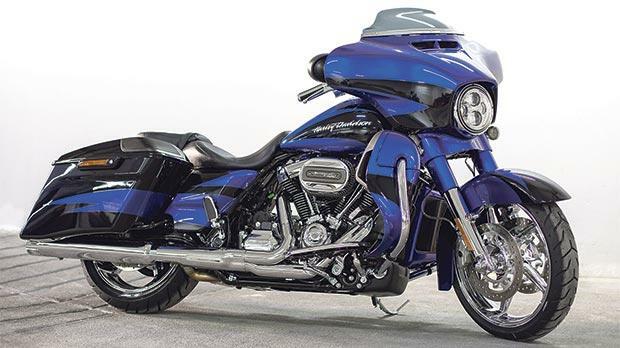 The CVO Street Glide is everything you thought could never roll out of a factory. It’s about plenty of muscle in the engine and the stereo; an all-new black granite Twin-Cooled Milwaukee-Eight 114 engine and a 6.5” BOOM! Stage II speakers powered by a 300-watt amplifier. It’s all built to work the way riders work, with features like voice activation, a big full-colour touchscreen and switches you can reach without taking your hands off the grips. One Candy Cobalt/Indigo Ink CVO Street Glide is now in Malta and it’s blowing away all those who happen to stand in its way. Fapi Motors are the official distributors of Harley-Davidson motor cycles in Malta. For more details, visit the Fapi Motors showroom in Mdina Road, Attard, or e-mail info@FapiMotors.com.